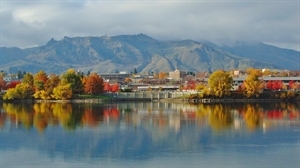 The Wenatchee Valley encompasses an area that includes arid desert landscapes, the contrast between manicured parks and natural beaches along the Columbia River, the alpine wilderness of the Cascade Range in North Central Washington. With a total population of about 160,000 the area is recognized historically as the "Apple Capital of the World" because of its tree fruit roots, which is still a mainstay to the economy. The Wenatchee Valley has become a favorite for outdoor enthusiasts. In the same day you can: water ski the Columbia River and ski Mission Ridge; whitewater raft the Wenatchee river and mountain bike Sage Hills; enjoy a few rounds at the Highlander Golf Course and take a snowshoe trek; and ... you get the idea. That environment has served the area well in attracting medical and business professionals, families and retirees. Combine that with the low cost of Public Power and the combination becomes even more magical. Spend some time here exploring. You'll understand why we call it paradise. Includes Cities/Towns: Cashmere, Dryden, East Wenatchee, Entiat, Malaga, Monitor, Orondo, Peshastin, Rock Island, Waterville, Wenatchee. Winter brings snowshoeing, nordic and alpine skiing at the upper elevations with hiking, biking, running, kayaking and fishing year long. The summer brings white water rafting, kayaking and tubing along with Stand Up Paddle boarding, golf, camping, swimming indoors or out, with fall welcoming hunters and fisherman for the colors, crisp mornings and warm afternoons. Spring is the perfect time to take in the wildflowers as they literally cover the landscape hiking, trail running or strolling. Our local, national and state parks are open to mountain biking, dirt biking, hiking, trail running and snowmobiling. Jet skiing, wind surfing, boating and gambling are also viable options included in the mix. Historic downtown offers unique shops and hand crafted items along with unique farm to table dining options. locally crafted wine and beer options play in to the fresh and hard cider options. The Town Toyota Center and the Icicle Center for the Arts bring in world class entertainment including innovative live streaming of Seattle Opera performances, headlining national acts such as Disney on Ice while also creating unique entertainment venues accessible to local performers and programs. The Numerica Performing Arts Center hosts theatrical performances, comedy, the symphony and more. Area wineries, Ohme Gardens and parks open their doors to concerts during the summer months welcoming tourists and locals to celebrate the sounds and scenery uniquely summer. The Valley is served by Pangborn Airport EAT,small but convenient and efficient. Link Transit is the local bus system offering fare free Downtown routes as well as connecting the communities within a 50 mile radius several times a day. Rental cars, shuttle services and Taxi's serve to round out the services to the community including the Seattle area as well as offering a transportation option when visiting local wineries and breweries. The Wenatchee Valley has a VA Clinic, Confluence Health owns and operates Central Washington Hospital as well three Major Medical Clinics and several smaller clinics throughout the area. Social services are offered by a variety of providers including Catholic Family and Children Services. An active Senior Center is complimented by several senior housing areas, gated communities and apartment options. Jan 23.3 F° 29.1 F° 34.8 F° 2.0 "
Feb 25.8 F° 34.0 F° 42.2 F° 1.5 "
Mar 32.1 F° 42.5 F° 53.0 F° 1.1 "
Apr 38.3 F° 50.0 F° 61.8 F° 0.7 "
May 45.7 F° 58.2 F° 70.7 F° 0.9 "
Jun 52.4 F° 65.0 F° 77.7 F° 0.8 "
Jul 58.0 F° 72.1 F° 86.2 F° 0.4 "
Aug 57.3 F° 71.7 F° 86.2 F° 0.3 "
Sep 48.7 F° 62.8 F° 77.0 F° 0.4 "
Oct 38.4 F° 50.1 F° 61.8 F° 1.0 "
Nov 30.2 F° 37.3 F° 44.5 F° 2.2 "
Dec 22.7 F° 27.9 F° 33.2 F° 2.3 "
All four seasons are distinct with some thunder and lightning activity during some summers resulting in potential wild fire risks. Condos Over 50 Communities There are many housing options available to seniors in our area including those mentioned here. 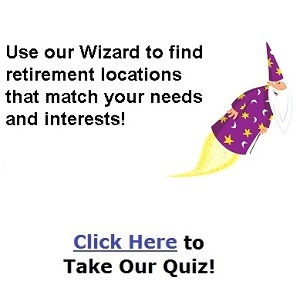 Realty companies and individuals that specialize in senior services are also available. The Wenatchee Valley is as rich in its investment in people as it is in agriculture and there are many opportunities to volunteer whether gardening, delivering meals, walking dogs or helping in schools.